THE minimum wage will rise to €9.80 an hour from the start of next year. But it would need another 70c-an-hour boost to reach the Government pledge to bring the statutory rate to €10.50. A total of 151,800 workers will benefit when the €9.55 an hour rate rises by 25c on January 1. This is the fourth successive annual pay hike for the country's lowest-paid workers since the Low Pay Commission was set up. 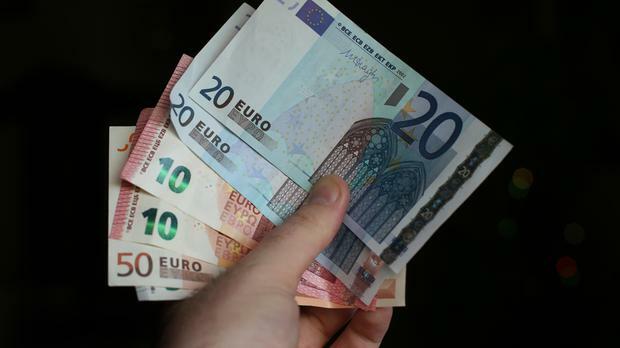 The minimum wage will have risen from €8.65 rate in place until January 2016 to the new rate of €9.80. Finance Minister Paschal Donohoe said he was making "some modest changes" to support minimum-wage workers. In addition, he raised the ceiling of the second USC rate band from €19,372 up to €19,874. He said this would ensure the salary of a full-time worker on the minimum wage would remain outside the top rates of USC. However, Labour employment spokesman Ged Nash said minimum wage workers would gain just 15c a week from the USC changes. Mr Nash said the Government was some way off reaching its commitment to increase the minimum wage to €10.50 an hour. He said this could be two or three more budgets off, based on the rate of increase. "I'd be concerned at its capacity to do that," he said. "I don't believe the national minimum wage is anywhere close to adequately meeting people's genuine needs." He said this meant the tax and social welfare system had to do a lot of "heavy lifting" to address low pay.